The JKLF was banned under various provisions of the Unlawful Activities (Prevention) Act after a high-level meeting on security chaired by Prime Minister Narendra Modi. In a notification, the Home Ministry stated that the activities of JKLF (Y) pose a serious threat to the security of the country and are prejudicial to the territorial integrity and sovereignty of India. 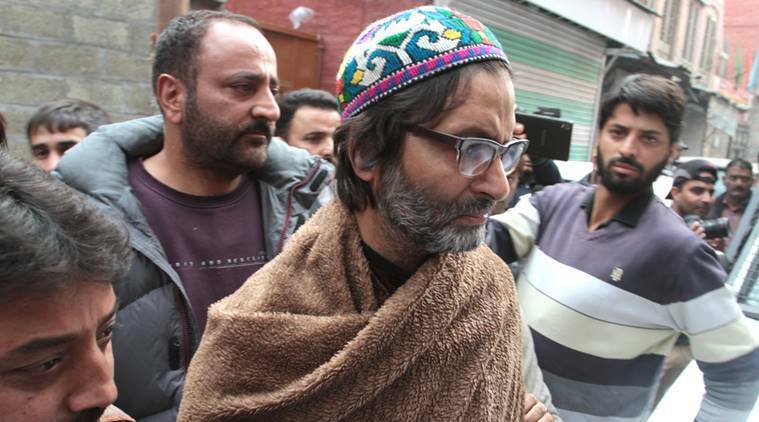 Malik is currently lodged in Kot Balwal jail in Jammu and is likely to face trial in the three-decade-old case of kidnapping of Rubaiya Sayeed. JKLF is part of the Joint Resistance Leadership which includes S A S Geelani led Hurriyat Conference. JKLF was the first outfit to pick up arms in the Valley but denounced it’s activities and later joined the dialogue process in 2000 with the Centre. The notification issued by MHA banning JKLF said the organisation is involved in anti-national and subversive activities intended to disrupt the sovereignty and territorial integrity of India; “JKLF-Y is in close touch with militant outfits and is supporting extremism and militancy in J&K and elsewhere,” it said.